This book examines the role of religion in the lives of women from 18th to 20th centuries; it explores the way religion shaped their views on the female role and finally offers a fascinating insight into the lives of leading female pioneers. This collection of essays deals with the role of women within institutional religion, and specifically the extent to which groups and individuals circumvented the restrictions placed on them by Christian theology and structures of authority. The contributions deal with a variety of denominations, locations and periods. Topics discussed range from the experience of Catholic women in eighteenth-century Ireland to that of Presbyterian women missionaries in India, from the work of Irish nuns in Chicago to the missionary efforts of female members of the Salvation Army in late nineteenth-century Ulster, from a meditation on the life of an Irish Franciscan sister in mid-twentieth century Europe to a discussion of the issues inherent in the writing of religious women’s history and biography and a guide to the use of convent archives in further research. Contributors include some of today’s leading practitioners of Irish women’s and religious history, and the essays, which will appeal to both the academic and the general reader, provide an overview of the work currently being undertaken in this field. 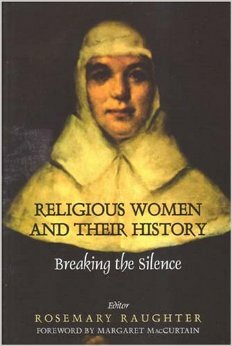 Religious Women and Their History offers an insight into women’s religious belief and practice in previous centuries, and deals with issues as resonant today as in the past. Rosemary Raughter is an historian of Irish women, currently working on biography of climber, photographer & author Elizabeth Hawkins-Whitshed aka Lizzie Le Blond.